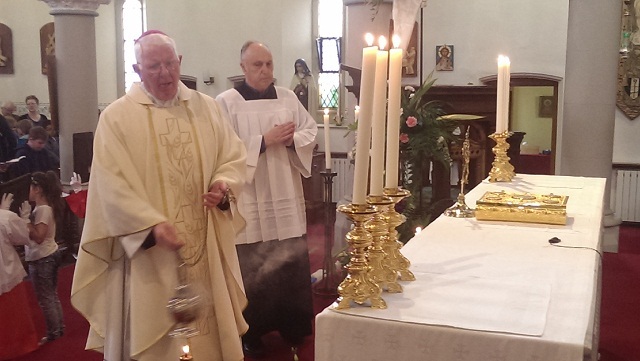 The weekend of Pentecost proved to be quite a varied one for me. 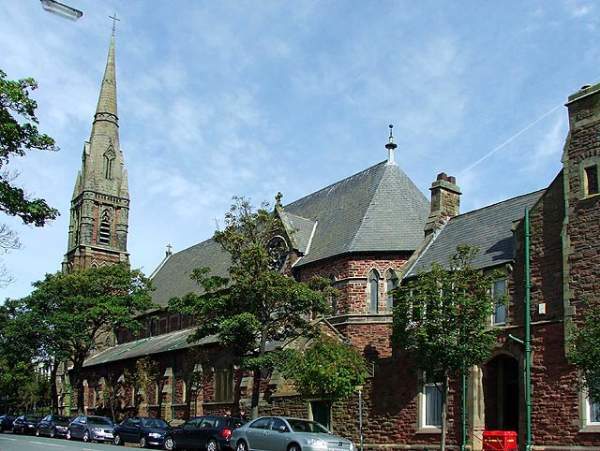 I travelled to St. Mary’s, Barrow-in-Furness on Friday evening to offer Mass, during which a lady parishioner made her final commitment of Consecration to the Order of Consecrated Widowhood. 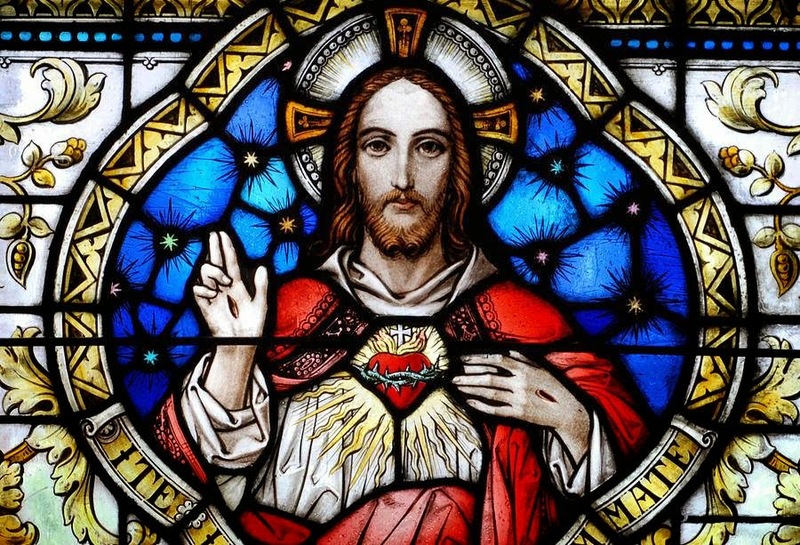 My Homily is here. 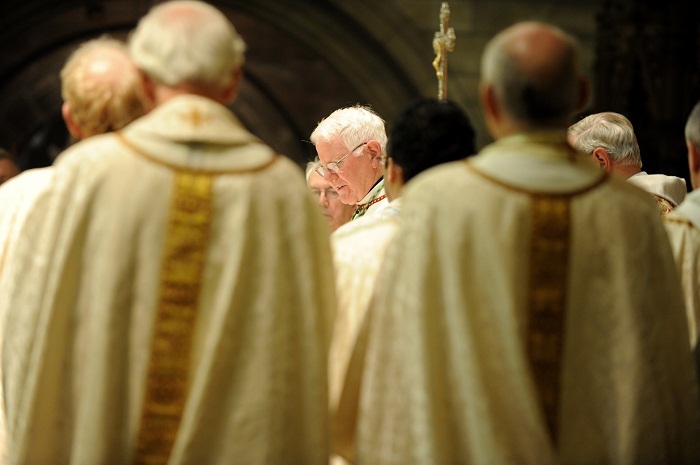 Both this rite of widowhood and that of consecrated virginity are gradually becoming better known within the Church. 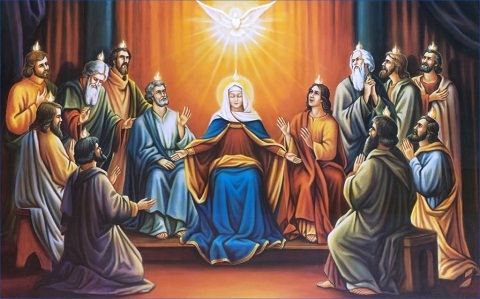 The feast of Pentecost highlights the outpouring of the Holy Spirit and the rich diversity of spiritual gifts or charisms which he bestows on different members of the Church, for the building up and benefit of the whole Body of Christ. 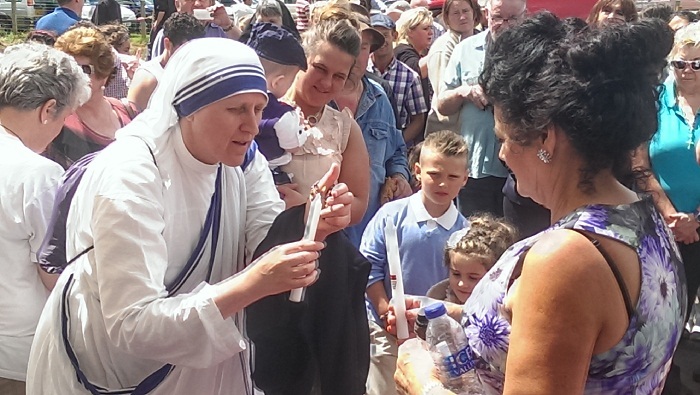 Consecrated virginity and widowhood are being increasingly recognised and acknowledged as special graces of the Spirit, and they offer tangible witness to us all to a unique call of Christ lived out in the circumstances of an individual’s daily life. 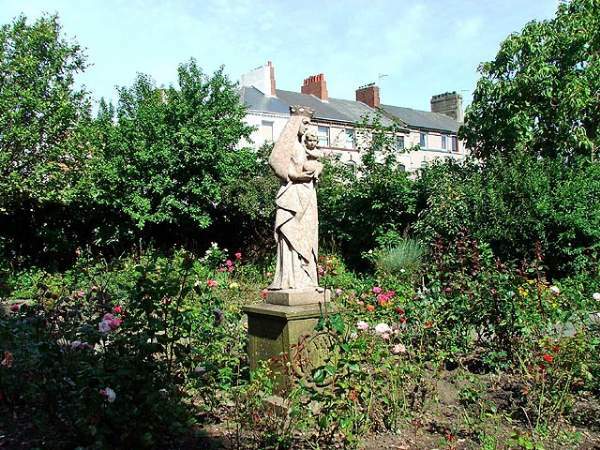 The single parish of Barrow now enjoys the appealing title of Our Lady of Furness, embracing what were once four communities with their own churches. 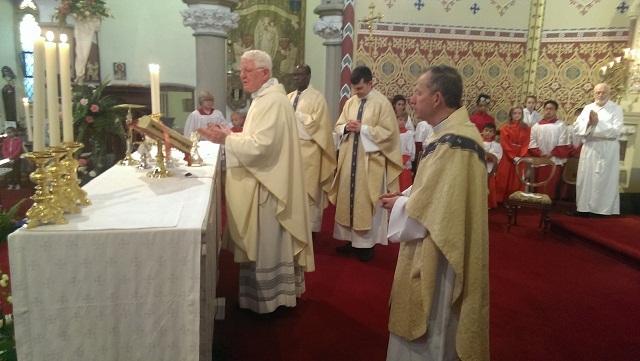 Parishioners in very large numbers gathered in St. Mary’s on Saturday morning with me their bishop and their priests for the celebration of their patronal feast, and the church, filled to overflowing, was such an uplifting and encouraging sight for everyone present. My Homily is here. 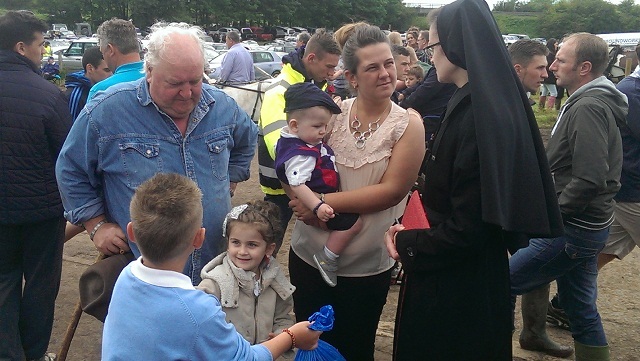 How Church communities continue to be alive and ever discover new life! 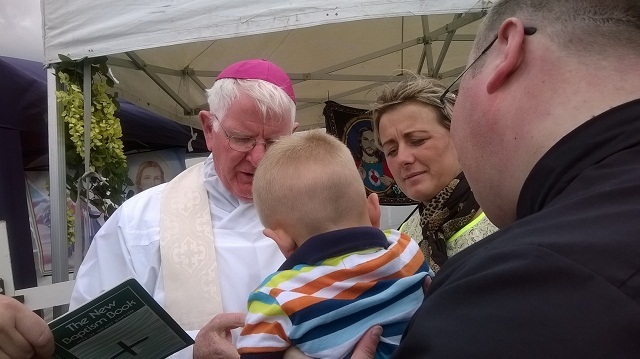 The feast day Mass represented a further step forward in the collaboration betweeen and consolidation of these Barrow faith communities. 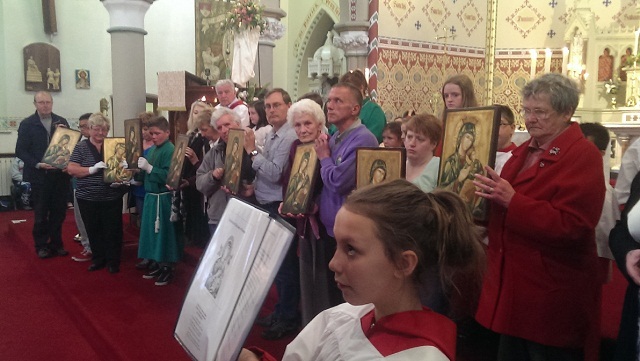 Towards the end of the Mass I blessed nine icons of Our Lady, for distribution to the five schools and four congregations, and in accordance with the custom of the Eastern rite practice anointed or chrismated each of them with the holy oil of chrism. 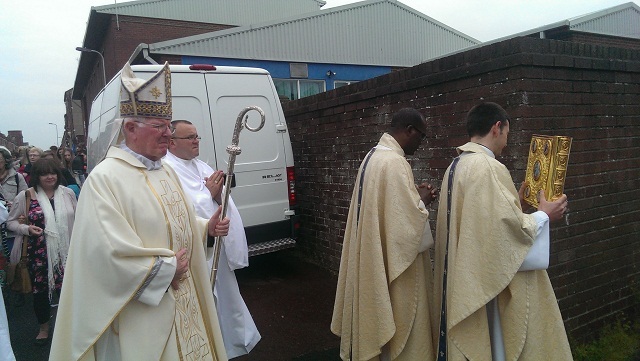 The priests and Catholics of Barrow can indeed draw fresh heart from this truly inspiring gathering for the Mass of their patronal feast. In this assembly of faith Pentecost and the Holy Spirit came a day early to Barrow! The inclement weather may have interrupted the intended outdoor celebrations afterwards, but assuredly did not dampen spirits. It was onwards to the famous Appleby Horse Fayre on Pentecost Sunday morning. This unique convention of travelling people, with their horses and caravans, as well as the numerous visitors who come for the day, is quite an experience for a first-time visitor such as myself! The milling crowds, bare-back horse riders, both men and women, and horse-drawn conveyances of various kinds created a rare atmosphere in this town which has hosted this fayre from time immemorial. 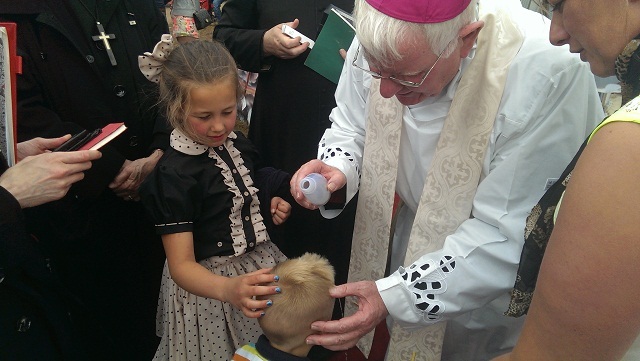 I came to offer Mass and administer the sacraments – baptism, confirmation, and first Holy Communions – to the families of travellers. 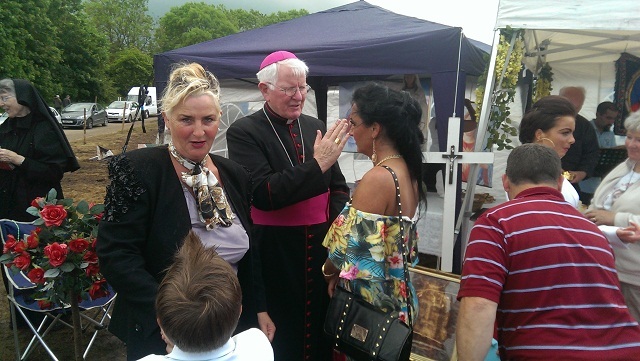 The faith of the travelling community remains very strong, evident from their desire to hand on that faith by ensuring that their children receive the sacraments. 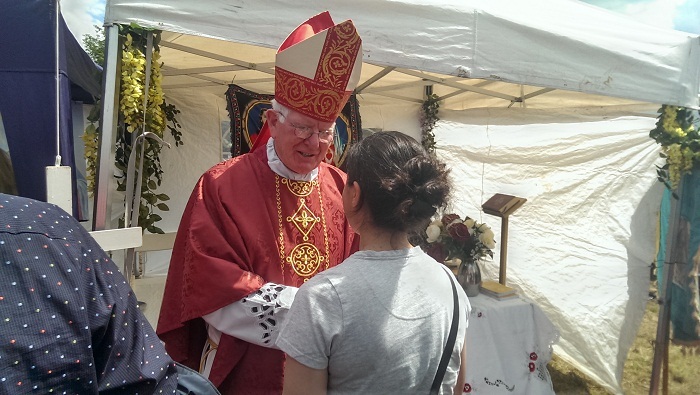 The presence of several priests and religious – also members of the Southwark Vocations Centre – made a powerful impact and reminding all present of the Church’s desire to be close to her people. 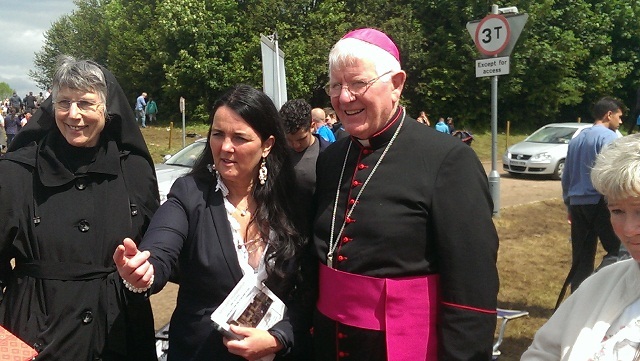 It was also very moving for me as bishop to bless so many individuals afterwards as they queued patiently after Mass. One could not but be impressed. 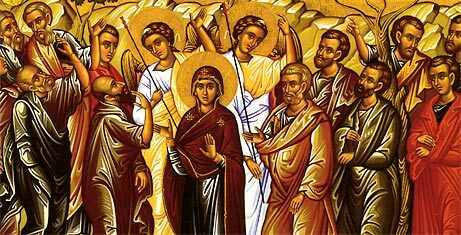 The degree of disorder, even confusion in Appleby, I reflected, was surely reminiscent in a way of that first Pentecost morning in Jerusalem when the Holy Spirit drew unity from wide diversity. 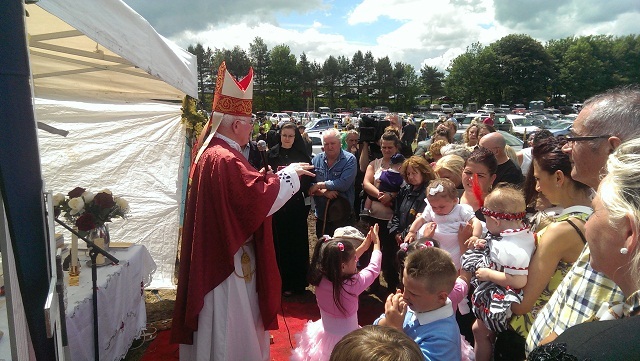 The Spirit did undoubtedly come to scenic Appleby and gathered us all together in the unity in faith. 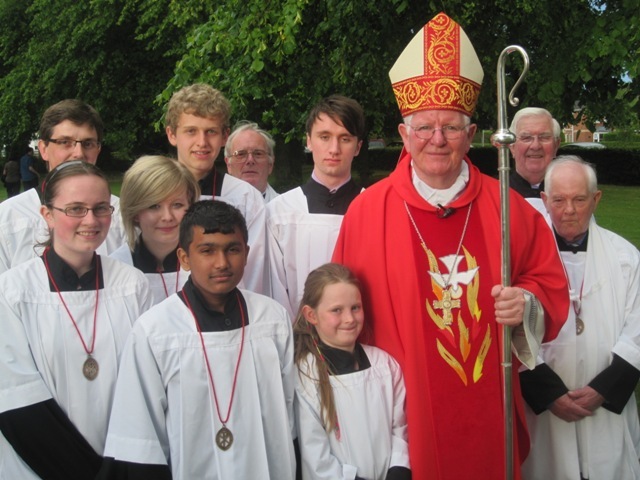 A busy but satisfying Pentecost weekend concluded appropriately for me as bishop in the cathedral on Sunday evening for the Confirmation of adults and young people from the Lancaster deanery. My homily is here. 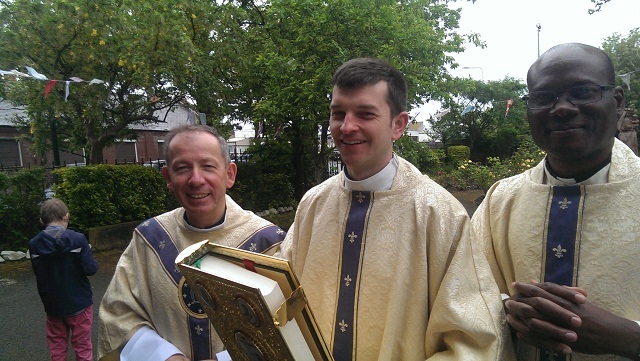 I am sure those who were Confirmed will long remember the packed cathedral and the personal presence of their own parish priests as they were being anointed with chrism. The lovely setting of our cathedral, the fact it was the evening of Pentecost, a large and attentive congregation of families, friends and parishioners, uplifting music- all contributed to a very prayerful and spiritual atmosphere and to the sense that Christ’s promise of the Holy Spirit was very much a reality in our midst here in Lancaster. 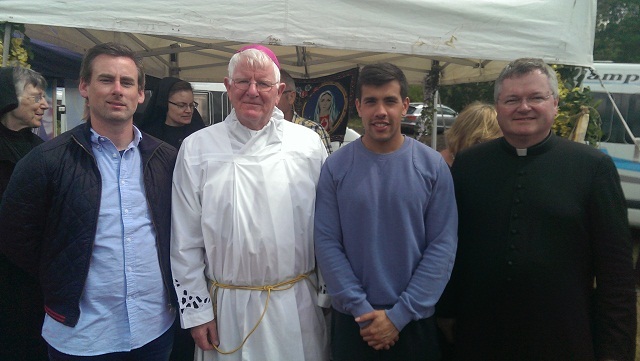 A weekend rich in variety, but truly a privilege for a bishop to be part of it! I joined the leaders of the main Christian traditions in Cumbria on Wednesday/Thursday for our annual overnight meeting in the picturesque setting of the Glenthorne Quaker residence in Grasmere. It was good to be together, to pray, and to share experiences and reflect on current challenges, many of which are common to all the churches in the area. 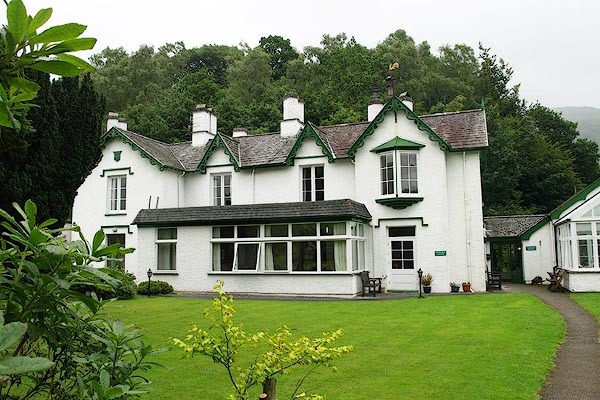 In keeping with the Quaker practice of silence, there was a relaxed atmosphere of quiet and peace all around the Glenthorne centre, and which was enhanced by the striking natural beauty of the Lake District surroundings. 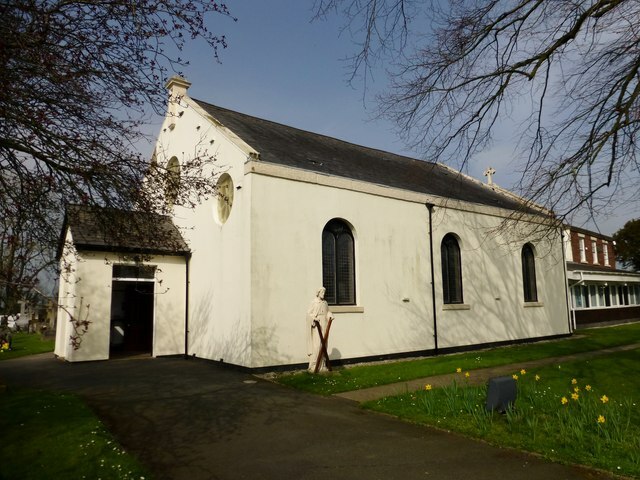 On Thursday evening I travelled to Cottam, close to Preston, to administer Confirmation to the children of St. Andrew and Blessed George Haydock parish, and to a number of others from two neighbouring parishes, Lea Town and Newhouse. The occasion was blessed by most beautiful weather, and summer evening sunshine with blue skies helps puts everyone in good spirits. 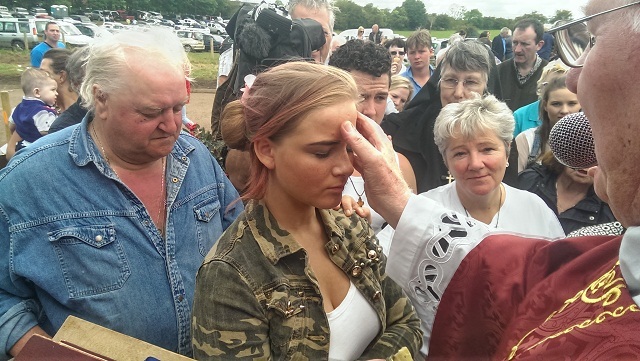 The church was filled to capacity, and the attentive prayerfulness of the congregation ensured that the young people were well supported as they completed their Christian initiation with the anointing of the Holy Spirit. 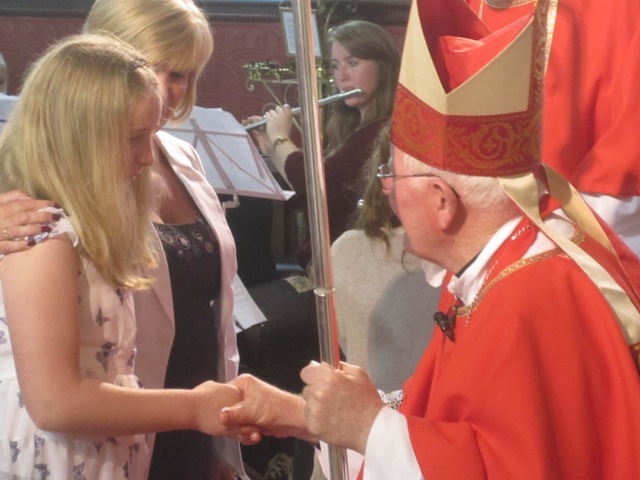 It is now the season of Confirmation in very many places, and my own experience as bishop has brought home to me how deeply significant the conferral of this sacrament is, for those being Confirmed, for their parents, families and friends, as well as for the wider parish community. 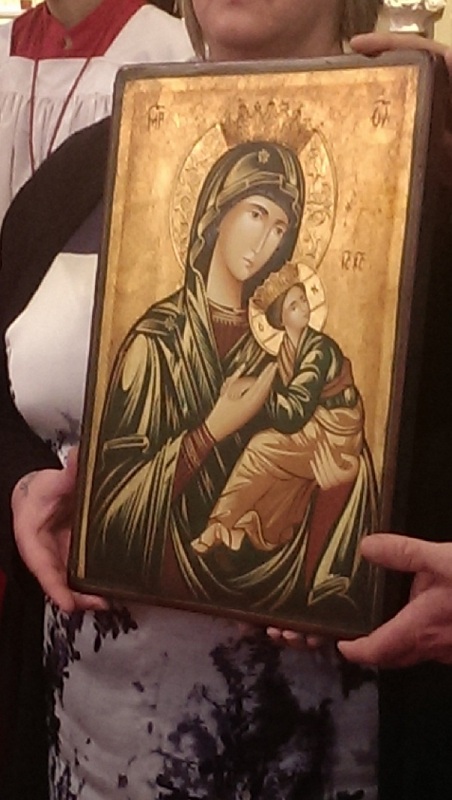 It is both a moment of grace and of evangelisation for all who are present. The Holy Spirit is indeed active with his gifts in all places and at all times.